Denise Sander Tertrais, 97, passed away on Saturday, October 10, 2015 in Fair Oaks Ranch. A very strong and courageous woman, she was a resident of Paris, France where she and her family were part of the Resistance during World War II, having both father and brother committed to Buchenwald concentration camp. She lived in France until 1960, when she moved to the United States and became an American citizen. She enjoyed volunteer work, making good use of her many talents, and was very family-oriented. Denise was preceded in death by her husband, Hubert Tertrais. Survivors include her sister, Helen Beder, who is still in France; daughter, Catherine Bila and husband V.J. ; 3 grandchildren, Vera, Christopher and his wife Angie, and Gregory Bila; 5 great-grandchildren, Denise, Monica, and Charles Chaloupka and Madeleine and Carter Bila; as well as a great-great-grandchild, Anthony Kelley. The Rosary will be held on Thursday, October 15, 2015 at 9:30 a.m. with a Mass to follow at 10:00 a.m. at St. Francis of Assisi Catholic Church, 4201 De Zavala. Interment will follow in Mission Burial Park North. In lieu of flowers, memorial contributions may be made to Cancer research at University of Texas Health and Science Center or MD Anderson. We extend our deepest sympathy and prayers to the family of Mary Kramer who passed away yesterday morning. 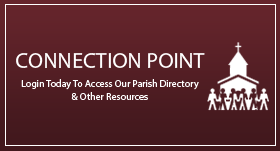 Mary was one of the parish’s founding members and our community will miss her greatly. The Funeral Mass will be on Tuesday, September 15 @ 10:00 am at St. Francis of Assisi Catholic Church will interment following. A reception in Henke Hall will follow the burial. There will be no vigil service or rosary. Please click here to view the Express News Obituary. We offer our deepest sympathy and prayers to the family of Robert Friesanhan who has gone home to Lord. The vigil service will be on Friday, July 17th at 7:00 pm at Sunset Northwest Funeral Home, located at 6321 Bandera Rd. San Antonio, Texas 78238. The Mass of the Resurrection will be celebrated on Saturday, July 18th at 12:00 pm Noon at St. Francis of Assisi Catholic Church, followed by interment at Evers Family Cemetery located at 7029 Forest Pine, San Antonio, Texas. Robert (Bob) Hugh Friesenhahn passed away in his home on July 13, 2015 at the age of 74 after more than thirteen years of illness due to congestive heart failure. Bob was born on March 22, 1941 to Florence Braendle Friesenhahn and Clarence Friesenhahn in San Antonio, Texas. His dear sister, Sharon Friesenhahn Kempf, joined the family two years later. She and her husband, Fred Kempf, were a huge presence in his life. He was part of a strong and passionate German Catholic family whom pioneered Leon Valley, Texas. His ancestors founded the Evers family cemetery in which Bob will be laid to rest, now a Texas Historical Landmark and home to over 150 years of tradition and heritage. He grew up with ever-present Catholic values and a strong faith in God, alongside the traditions of his wonderful German family. He was raised with aunts, uncles, and cousins that became his best friends for life. He and his family dwelled in the Leon Valley area, where he attended Northside High School (later John Marshall). While in high school, Bob met the love of his life, Bobbie Wilson, whom he married in a Catholic ceremony on May 6, 1961. The couple had three children: Robin Friesenhahn Hughes, John Friesenhahn and Susan Friesenhahn Glenny, respectively. Although he and his family moved to various cities in Texas for his automotive industry career, Bob and his family always called San Antonio their home, and returned to Leon Valley in 1968. Bob was a devoted husband and father, and adored his children and their spouses, James Hughes, Wendi Hale Friesenhahn, and Clint Glenny, whom he viewed as children of his own. He shared an incredibly special bond with and love for each of his grandchildren, Brooks Friesenhahn, Morgan Glenny, Brody Friesenhahn (Marley Gastrock Friesenhahn), Holt Glenny, Abigayle Hughes, and Jameson Hughes, as well as Christopher (Kelly Joyce Hughes) and Lauren Hughes, and his great-grandson, Cody Hughes. Bob was known for his unique and witty sense of humor, and had the ability to make anyone laugh or smile. He loved to hunt, fish, and show hogs, and was there alongside a multitude of family members as they cast their first line and shot their first deer. He made many friends through these hobbies, and always cherished the days he was able to spend by the river or at the ranch. Bob never strayed from his devout Catholicism and emphasis on tradition and family, teaching all his children and grandchildren the significance of heritage and an unwavering familial bond. It was impossible for those he met not to love him, for he touched the hearts of all that he knew with his immeasurable kindness, devotion, wittiness, and faith. He was a husband, father, and the greatest grandfather a person could imagine, and showed an insurmountable adoration for his family that cannot be described. He fought his sickness with congestive heart failure since March of 2002, never wavering in strength, endurance, and trust in the Lord. His family would like to thank his team of physicians: Dr. Richard Clemons, Dr. Gerald Sioco, Dr. Kiran Jayaram, Dr. Mike Kwan, Dr. Scott Ulmer, and Dr. Dan Saltzstein. In lieu of flowers, donations may be made to the autism charity of your choice to honor the grandson he loved so much. Visitation for the family will be held at the Sunset Northwest Funeral Home on Friday, July 17 at 6 p.m., proceeded by a rosary service at 7 p.m. A funeral mass will be held at St. Francis of Assisi Catholic Church on 4201 De Zavala Rd at 12 p.m. on Saturday, July 18. The pallbearers for the funeral will be Brooks Friesenhahn, Brody Friesenhahn, Holt Glenny, Cooper Urbany, Todd Middleton, Kenny Spears, Dean Davenport, Bruce Davenport, and Brian Davenport. Bob was a wonderful man and child of God, and his impactful memory and incredible heart will never be forgotten. Victoria C. Casillas, 16, of Shavano Park, TX went to be with the Lord on Tuesday, February 3, 2015. Victoria was a junior at Dixon High School in Holly Ridge, NC. She participated and performed with the Hermann Sons Dance Group, liked to volunteer at the Humane Society, a member of Forever Fit Dance Group and was the 2014 Spot Festival Jr. Queen. She was very kind, gentle, and sincere of heart; a truly creative and imaginative young lady. Having traveled all over the world shaped her respect for people and their cultures. She had a natural affinity for all God’s creatures. Victoria will be remembered as always lighting up any room with her smile. Survivors include her father, Victor S. Casillas, III of Shavano Park, TX; her mother, Clarissa W. Miller of Sneads Ferry, NC; two siblings, Luke and Maddie; Paternal grandparents, Victor Jr. and Beatrice Casillas of Shavano Park, TX; maternal grandparents, Kenneth and Barbara Wake of Kirby, TX; and numerous aunts, uncles and cousins. The family will receive friends from 3:00 to 5:00 p.m., Sunday, February 15, 2015 at Porter Loring Mortuary North. The family invites you to fellowship and refreshments beginning at 11:30 a.m., Monday, February 16, 2015 at St. Francis of Assisi Catholic Church. Interment will follow in San Fernando Cemetery II. To my Princess, with much love from all of our hearts, may you be at peace with the angels of Heaven. Never forget DLM/AA. Love you always, Dad. or the SA Zoo, 3903 North St. Mary’s Street, San Antonio, TX 78212. Lt. Colonel Ernest Kristof, age 95, passed away on May 3, 2015. He was born on July 5, 1919 in Czechoslovakia to Reverend Nicholas Kristof and Helen Zima Kristof. He attended Penn State University and served in the Army Air Corps in WWII as a navigator/bombardier. He was awarded two Bronze Battle Stars, a Bronze Star, and an American Defense Medal. He retired from the U.S Air Force Reserves in 1979. His first civilian job was with Prassel Manufacturing, then Builder’s Supply, Straus-Frank, Coleman Co., and finally Campbell-Ince, where he retired after 20 years. He was an active member at both St. Paul’s and St. Francis of Assisi Catholic Churches. He was preceded in death by his loving wife of 67 years, Bernice Wagner Kristof; sisters, Martha Smith, Mary Beifus; and brothers, George Kristof and Jake Kristof. He is survived by his sister, Theresa Prah and brother, Zoltan Kristof and wife Laurene; his daughters, Karen McGilloway and Marcia Wilson, her husband Randolph; grandchildren, Robyn McGilloway, Paige Omohundro, and her husband Brian, Brooke McGilloway, Guy Wilson, his wife Jennifer, Cale Wilson, his wife Nichole, and Markay Fluitt, and her husband Timothy; and four great grand children. WEDNESDAY | MAY 6, 2015 | 7:00 P.M.
THURSDAY | MAY 7, 2015 | 9:30 A.M. In lieu of flowers contributions may be made to the Wounded Warrior Project, support.woundedwarriorproject.org. MInita Santizo, age 68, passed away peacefully Saturday, February 7, 2015 at her home in San Antonio, TX surrounded by her children after a courageous battle with colon cancer. She is survived by her children, Lola Santizo Kern (Thomas), Silvia Gonzalez (Jaime), Mario Santizo (Isabelle), and Rodrigo Santizo (Alaina) and her beloved grandchildren, Maya Kern, Jaime & Gabriel Gonzalez, Leah and Matteo Santizo, and Noah and William Santizo. She is preceded in death by her husband, Mario Jose’ Santizo, her mother Alma Matilde Huemoeller, and her father, Carlos E. Ballesteros. Minita was born in Parral, Chihuahua, Mexico on June 20th, 1946. She was raised there by her mother and grandmother until the age of 12, when her mother died suddenly and her grandmother became her guardian at which time she was sent to boarding school at the Sacred Heart Academy. At the age of 15, she came to the United States to live with her uncle, Federico Huemoeller and his family in St. Louis to benefit from an American education. While working as a secretary at St. Louis University, Minita met and married her husband Mario Santizo on December 7, 1968, who was a masters candidate also at St. Louis University. After their daughter Lola was born, they moved to Iowa City, IA when Mario became a Professor of Spanish for the University of Iowa. During their 29 years in Iowa City, her children Silvia, Mario and Rodrigo were born and while she raised her family, she finished her bachelor degree at the University of Iowa and also earned two masters degrees in education one of which was in International and Comparative Education. A highlight of her career was her work as the Director for the University of Iowa International Writing Program. Her work with the IWP brought out the best in her “mover and shaker” personality where she arranged tours, lectures, performance attendances, visits to elementary schools, hosted more than a few wild parties in her home and even old fashioned salons where poetry, music and political discussions with dissident writers from all over the world were enjoyed by her family. Throughout their years in Iowa City, Minita and her family also hosted at least 46 family members and foreign exchange students from but not limited to Mexico, Guatemala, Spain, France, China, Taiwan and Brazil. Her career blossomed with her position at St. Mary’s University in San Antonio, TX as Director for Studies Abroad. She served in that position for for 15 years during which she tirelessly helped countless students realize their educational goals by assisting them with choosing studies abroad opportunities, getting passports and arranging for visas, taking care of emergencies abroad, becoming long-time friends with many of them. During her tenure at St. Mary’s she sought and developed new study abroad opportunities for faculty and students stun in existence today. She was a member of NAFSA for more than 20 years and saved on several NAFSA committees at the National, Regional and local levels, including the Public Policy and Advocacy Committee. She organized workshops, State meetings, while also participating in numerous sessions and panel presentations. As a member of the Forum on Education Abroad, Minita was an active participant in the Standards of Good Practice for Education Abroad development. In addition, she served as a Fulbright Grant and Boren Scholarship representative as well as a reviewer for these scholarships. She is co-founder of the Texas International Monthly(TIM), a study abroad organization comprised of local and regional universities that share information and discuss current issues in study abroad. Most recently, before her retirement she was appointed as Associate Director of the Association of Marianist Universities(Chaminade-Honolulu, the University of Dayton – Ohio, and St, Mary’s University. Some of her awards include The Silver InsigniaAward for her support and dedication to the Franklin Institute; Institute of International Education Award for her decade of work with the Gilman International Scholarship Program; The Alice Wright Franzke Feminist Award for the Promotion of Peace from St. Mary’s University; Leader for the Ecumenical Service Against Capital Punishment, President’s Peace Commission also from St. Mary’s University and The Award for Appreciation for Service from St. Mary’s University. 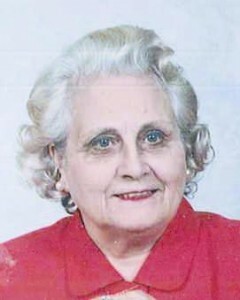 Minita loved her family and especially her dear grandchildren beyond measure. She thrived on meeting new people and making new connections many of which she kept for her lifetime. She has many wonderful close friends and neighbors in San Antonio that she met through her career at St. Mary’s who have become family by heart and will continue to be in her childrens’ lives. Minita attended St. Francis of Assisi Catholic Church faithfully and was involved with many activities through the parish such as Mobile Loaves and Fishes(food, clothing, and other necessities delivered to the homeless and poor), minister, reader, greeter, A.C.T.S. Retreat team, Women’s Parish Council, and also with Habitat for Humanity. She was a lover of all kinds of music, movies, and travel and enjoyed constantly learning. Minita became a champion of anyone who asked for her help especially those whom she felt were marginalized. She was never afraid to speak up or say what was on her mind. Minita often said out loud what others were thinking but did not have the courage to say. Her firecracker personality and spirit will be greatly missed by all who were lucky to know her. And her heart and soul were always guided by love. Friends are invited for a visitation on Wednesday, February 11, 2015 at 12:00-2:00pm, Porter Loring Funeral Home, 1101 McCullough, San Antonio, TX. A second visitation will follow at 4:30-6:30 pm at St. Francis of Assisi Catholic Church, 4201 De Zavala Rd, San Antonio, TX after which a Vigil will start at 6:30 also at St. Francis. The Funeral Mass will take place on Thursday, February 12 at 10:00am at St. Francis of Assisi Catholic Church with a luncheon immediately following in the fellowship hall. In lieu of flowers, a monetary gift may be made to the Marianists in support of their work in India. CMSgt. (Ret.) Donald J. Borak, 80, passed away on January 31, 2015. Don was raised in Chaska, MN, then served in the USAF Security Service for the next 21 years as an Intelligence specialist and was awarded the Bronze Star and the Air Force Commendation Medal among other honors. It was during an assignment to Scotland that he met and married his wife, Sandra. He also had assignments in Alaska, England, Japan, and Thailand before his retirement from Kelly AFB in San Antonio, TX in 1974. Don then earned his CLU and ChFC before becoming Regional Director for 3MARK Financial in Sugarland, TX and Area Life Consultant for Protective Life. Don was preceded in death by his parents, County Commissioner Edward Borak and Loretta Hart Borak; a brother, Charles Borak; and a brother-in-law, John Schneider. His survivors include his wife of 54 years, Sandra Robertson Borak; 2 siblings, Mary Jean Borak Schneider, and Robert Borak and wife Judy; a sister-in-law, Connie Borak; 3 sons, Paul Borak, Gary Borak, and Steven Borak and wife Leslie Coleman Borak; a daughter, Donna Borak Henderson and husband Frank Henderson, Jr.; and 5 grandchildren, Brady and Colby Borak, and Frank “Trey” Henderson III, Katherine, and Wyatt Henderson. The family will receive friends on Wednesday, February 4, from 6:00-7:00 P.M. at Porter Loring Mortuary North. A graveside service with Military Honors will be in Ft. Sam Houston on Wednesday, February 11, 2015 at 2:00 pm. In lieu of flowers, memorial contributions may be made in his honor to the Intrepid Fallen Heroes Fund, Attn: CONTRIBUTIONS, One Intrepid Square, W 46th Street & 12th Avenue, New York, NY 10036 (www.fallenheroesfund.org). Mary Lou Vazquez, age 79, went to be with the Lord on November 30, 2014. She was born on May 20, 1935 to Arturo & Elisa Hernandez. She was a loving wife, mother, grandmother, great grandmother, sister and friend who will be dearly missed. She was preceded in death by her daughter, Loretta Vazquez; 2 grandsons, Nick Anthony Almendarez and Stephen Anthony Vazquez. She is survived by her husband of 60 years, J. Manuel Vazquez; 6 children, Guillermina Chavez, Jacqueline Almendarez, Juli Machany, Michele Ortiz, Lisa Vazquez and Joe Vazquez; 16 grandchildren; 13 great grandchildren; 2 brothers, Gilbert and Larry Hernandez; numerous nieces, nephews and other relatives. Saturday, December 6, 2014 | 10 am | St. Francis of Assisi Catholic Church, 4201 De Zavala, San Antonio, TX 78249. 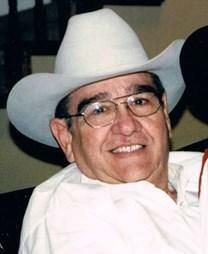 Jesus “Jesse” M. Ruiz, age 86, passed away on Tuesday, August 5, 2014 in San Antonio. He was born in Alice, Texas to parents, Mucio and Dionicia Ruiz. He was preceded in death by his parents; brothers, Gregorio G. Ruiz, Santiago D. Ruiz, and Jose D. Ruiz; sister, Cruz R. Silguero. Jesse is survived by his wife of 63 years, Josie G. Ruiz; son, Rene D. Ruiz and spouse Benjamin Ruiz; daughter, Cynthia A. Hayford and husband Tim Hayford; grandchildren, Corey, Abbey, Brandon and wife, Jennifer; great-grandson, Samuel; sister, Leslie Alaniz; numerous nieces and nephews. Jesse retired from Kelly Air Force Base after 37 years of service. The family will receive friends from 6:00 to 7:00 p.m., Monday, August 11, 2014 at Porter Loring Mortuary North. Interment will follow in Fort Sam Houston National Cemetery.